日本自動車デザインコーナー 「Japanese Car Design Corner」: Latest rendering of Subaru 216A (FT-86)!!! 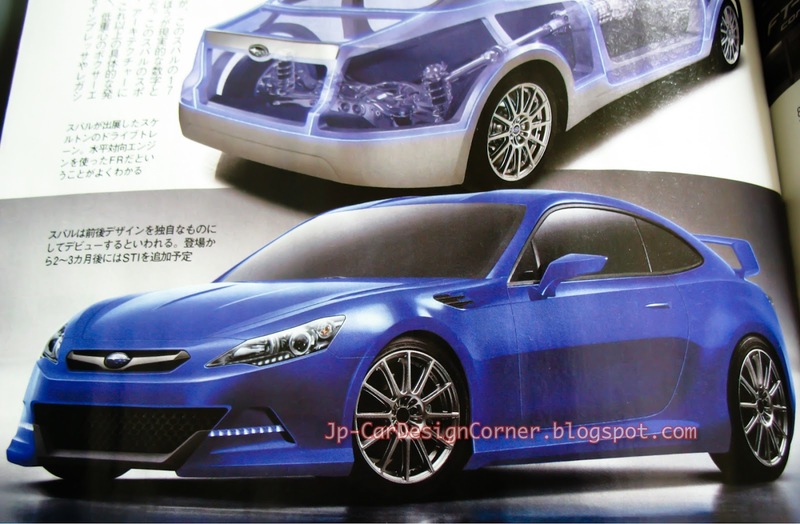 Latest rendering of Subaru 216A (FT-86)!!! Following the 2011 Geneva Motor Show where Subaru displayed the Boxer Sports Car Architecture (earlier post), now it's time for the latest rendering which has been published by Japanese Best Car magazine. Best Car continues to claim that the naturally aspired 2.0L Boxer engine will deliver 200 ps (@ 7,200 rpm) and 21.0 kgm of torque at 4,600 rpm. Prices are expected to range between ¥ 2,300,000 and ¥ 2,600,000.